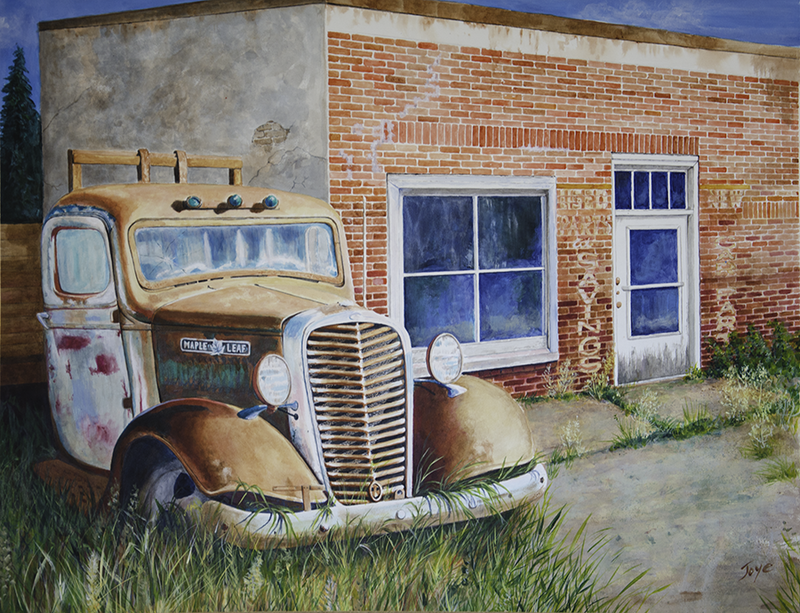 Artwork purchases are made directly with the artist. Method of payment, shipping and handling and other costs will be determined at the time of sale. Please contact the artist for details. 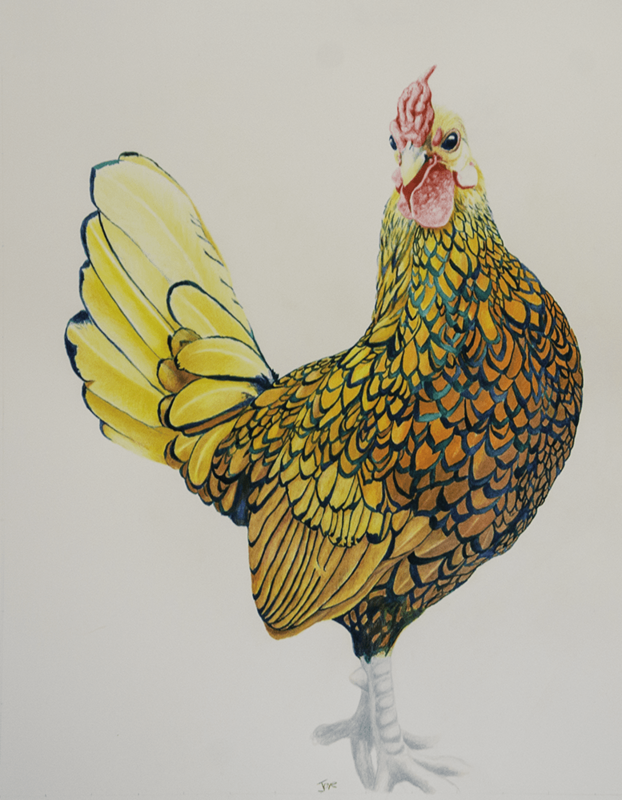 A harvest gift lovingly rendered in the kitchen and in the studio. 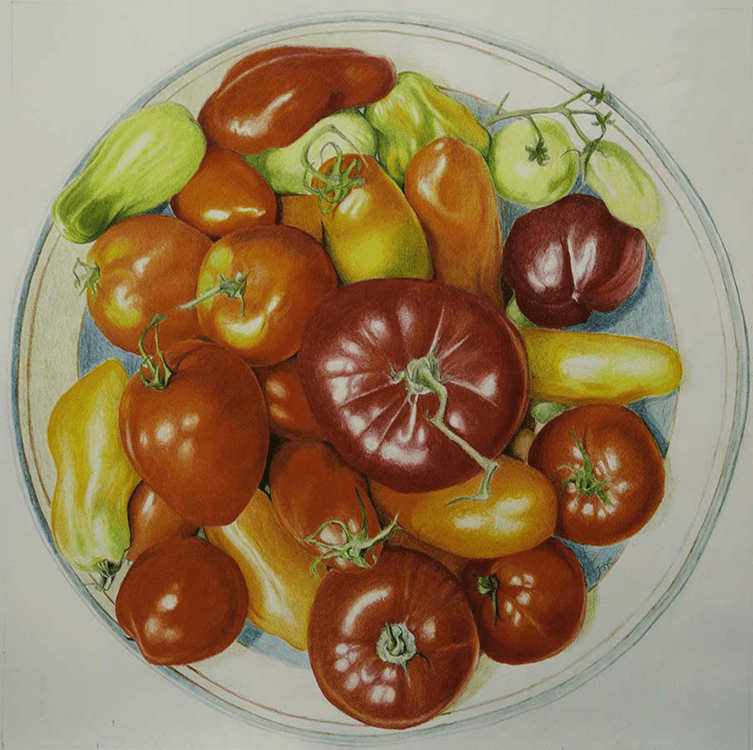 Pencil Crayon on Paper 20" X 20"
Acrylic on Paper. 18" X 14"
Acrylic, Pencil Crayon and Pastel on Paper 30" X 22"
Acrylic on Paper. 20" X 14"
Acrylic on paper. 19" X 14"
Acrylic on paper. 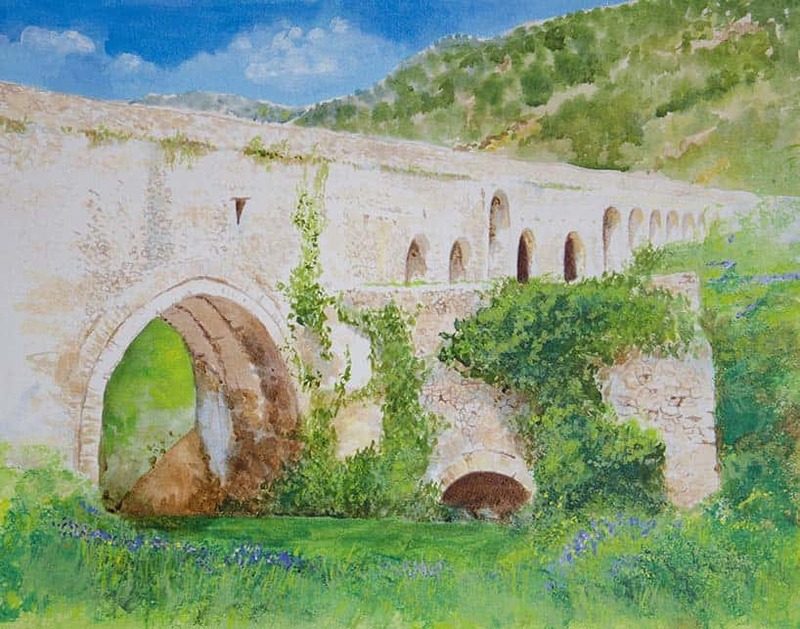 20" X 14". 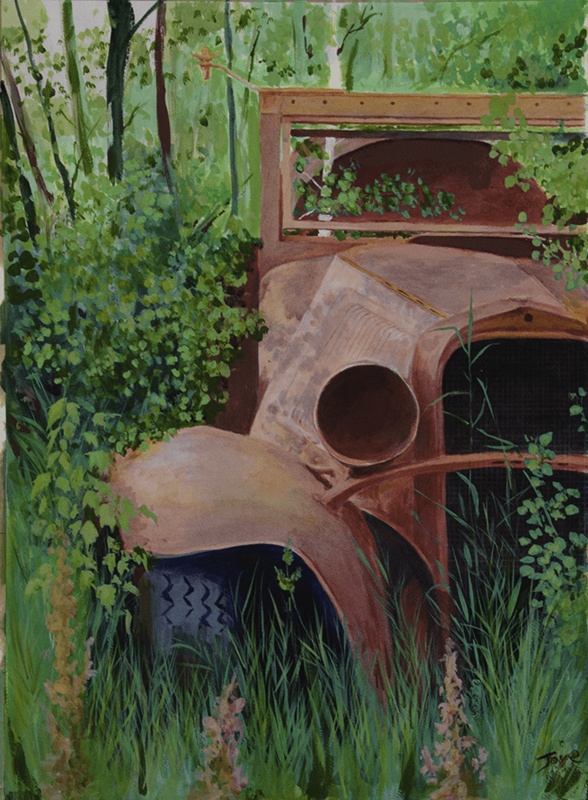 Acrylic on oil paper 30" X 20"
Acrylic on Paper. 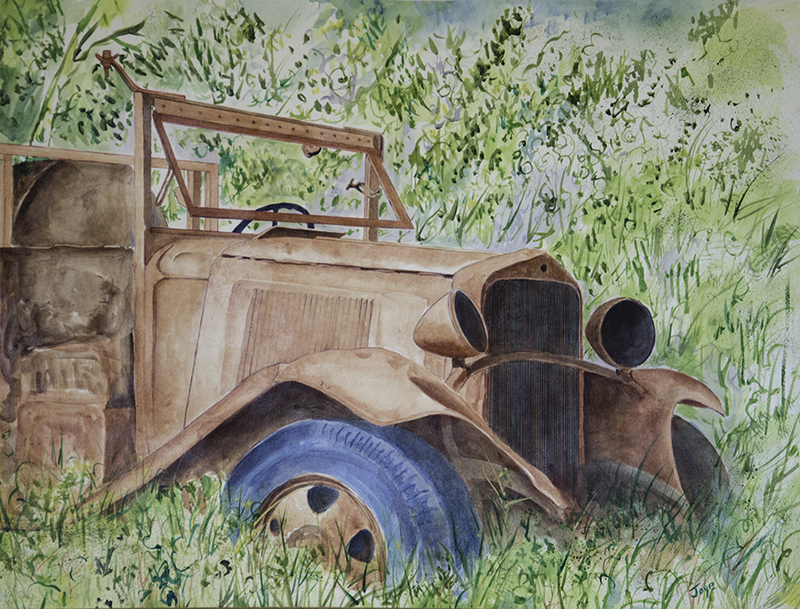 30" X 24"
1939 Maple Leaf, Acrylic on paper. 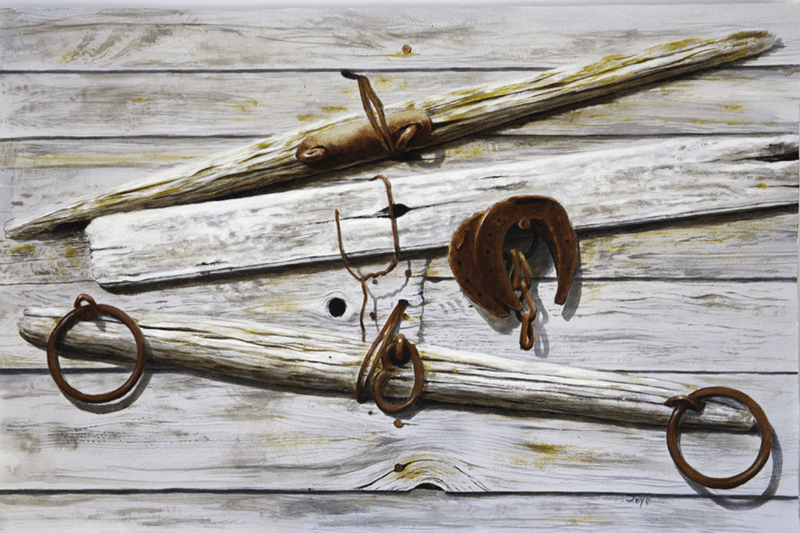 40 1/2" X 31 1/2"
Acrylic on paper. 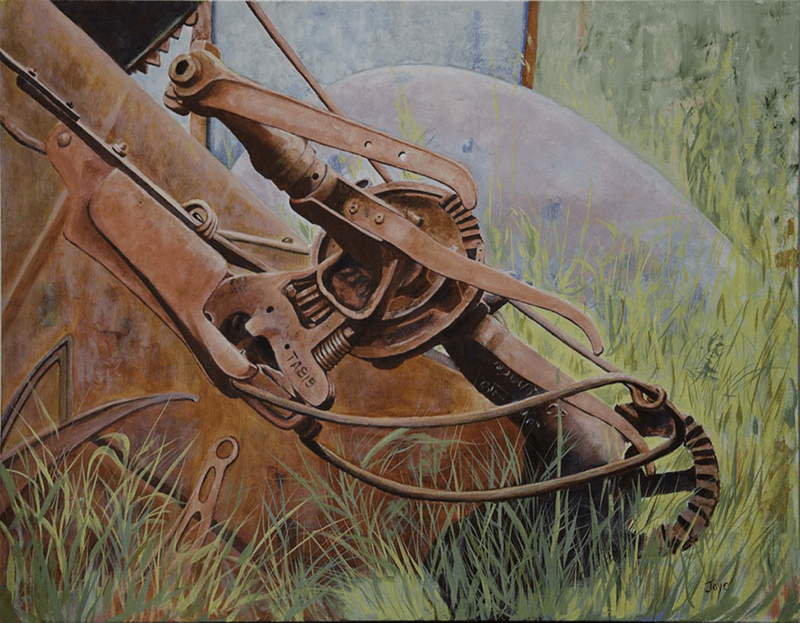 28" X 21"
Acrylic on oil paper 32" X 24"
Acrylic on Canvas 38" X 27"
The Machinery of time; McCormick Binder in decay. Acrylic on Acid-Free Paper. 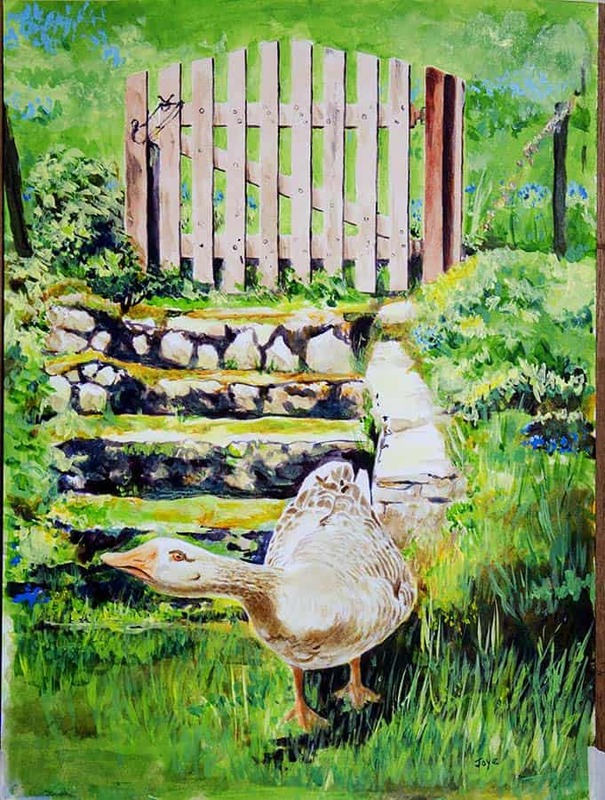 27" X 18". Acrylic on Canvas 28" X 32"
Acrylic on Acid-Free Paper, 22" X 30". Nature Reclaims by Degrees. Acrylic on Paper. 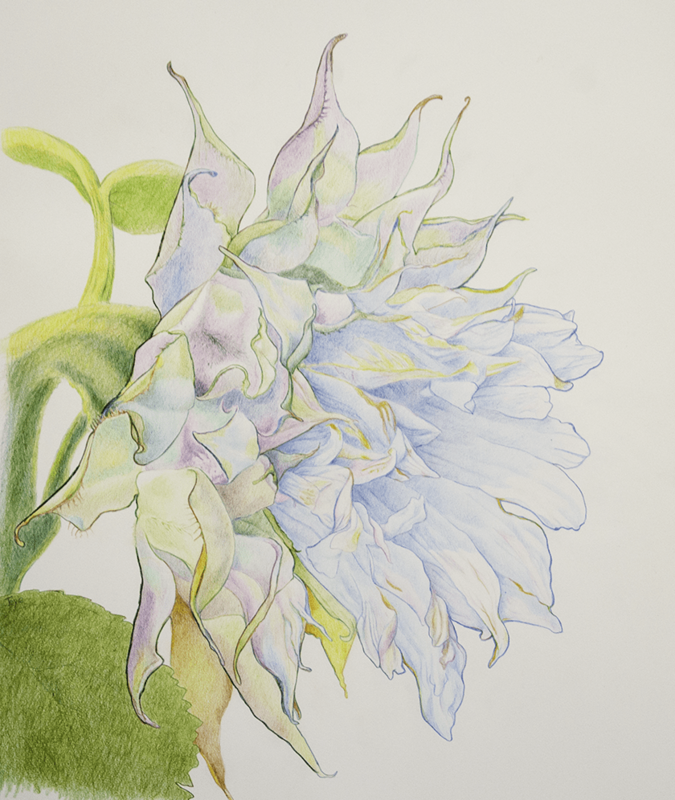 21" X 27"
whimsical flower in complementary colours. Pencil Crayon on acid -free paper. 19" X 22". 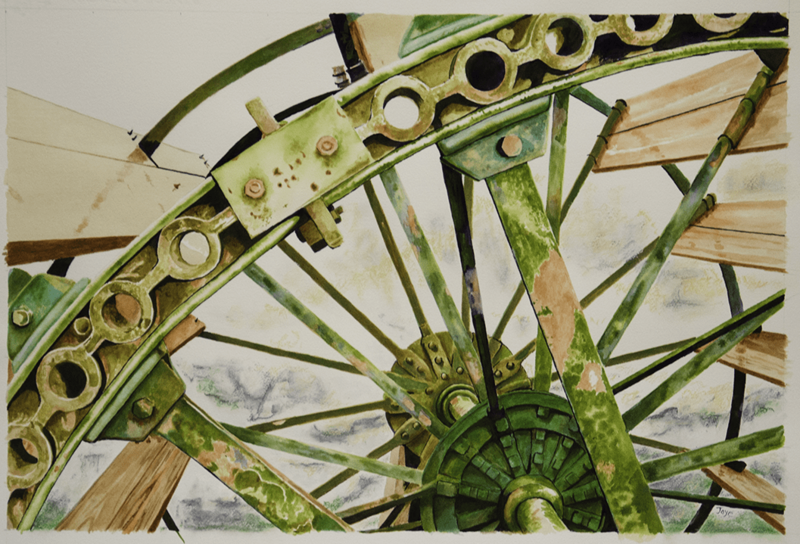 Acrylic and Pencil Crayon, mixed media on paper. 21" X 27" Acid Free Paper. 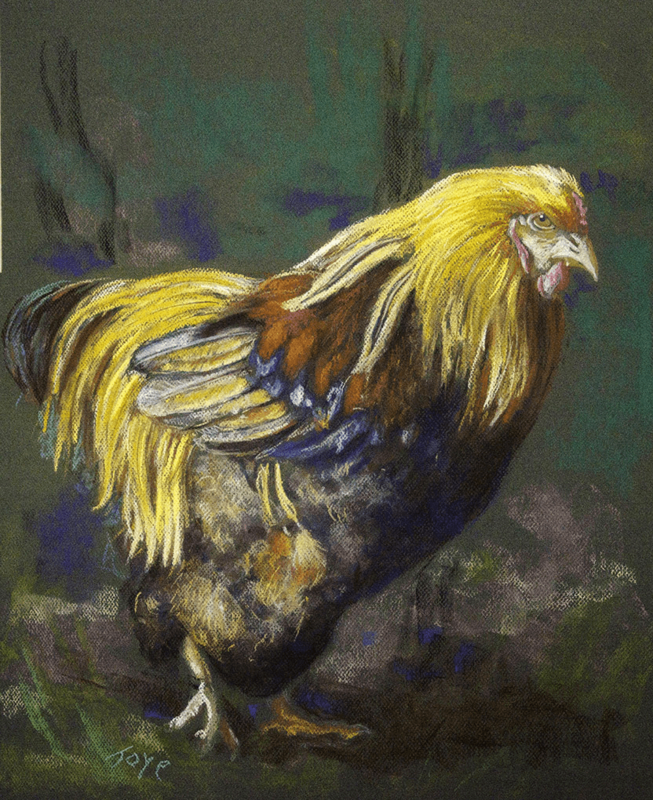 Pastel on Acid-Free Paper. 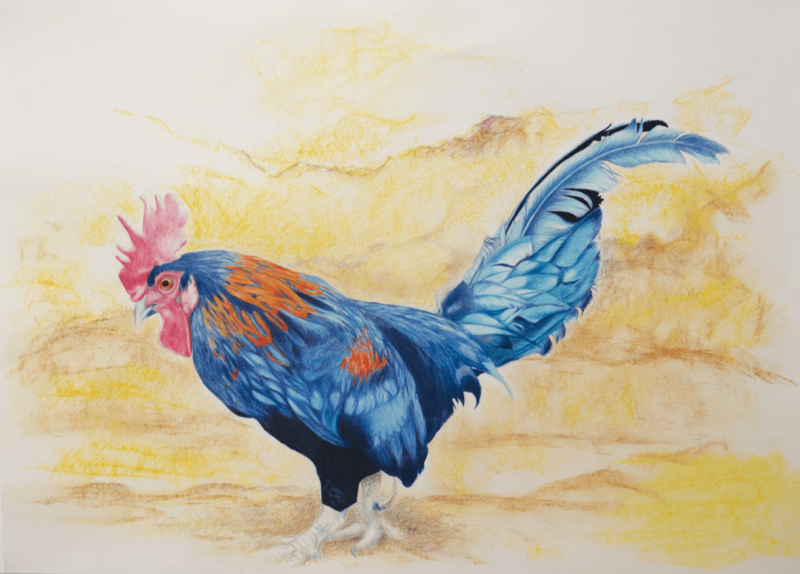 Short-tailed Rooster ; 20" X 26". 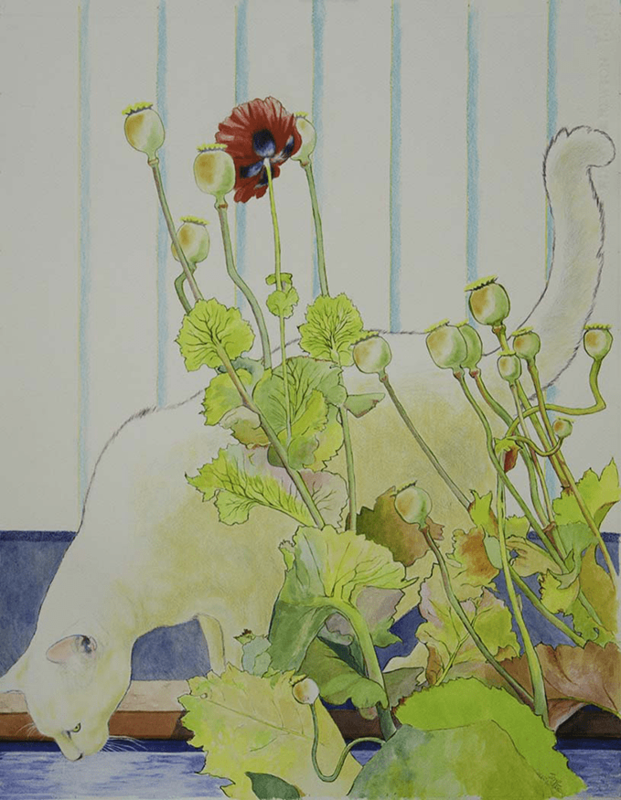 Pencil Crayon and Pastel on Paper. 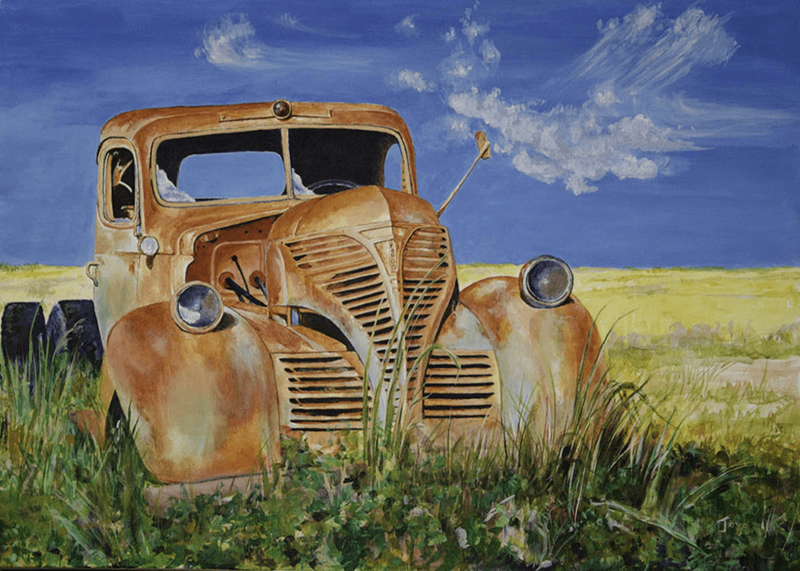 30" X 22". 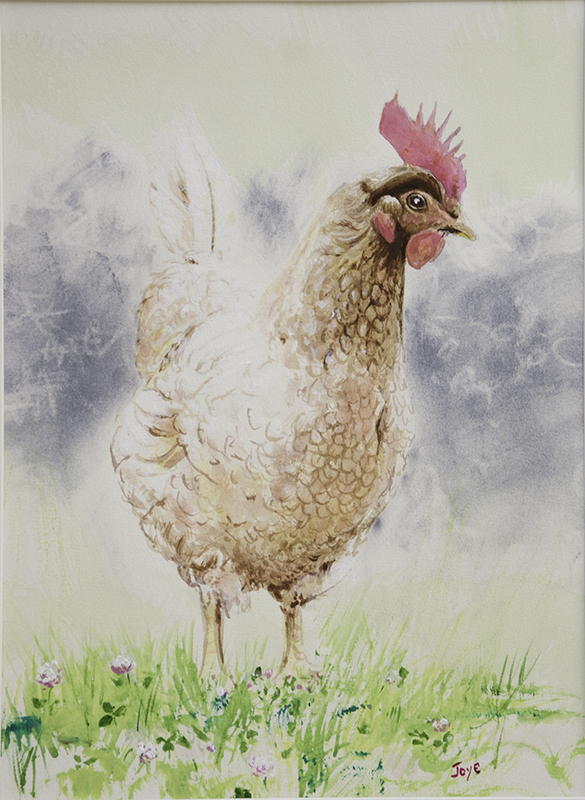 Watercolour, Pencil Crayon and Pastel on Acid-Free Paper. 14" X 20". 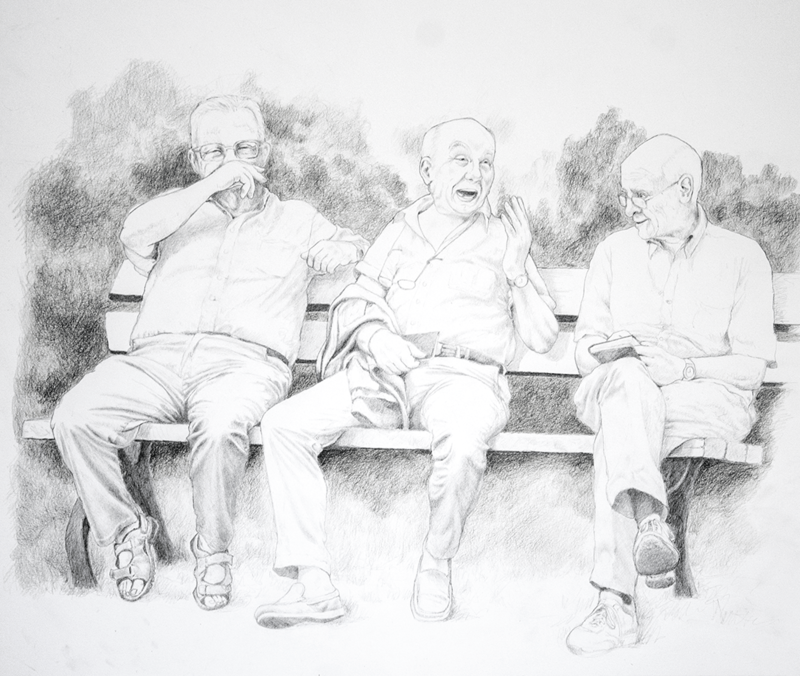 Graphite on Paper. 21" X 27". Acid-free paper. 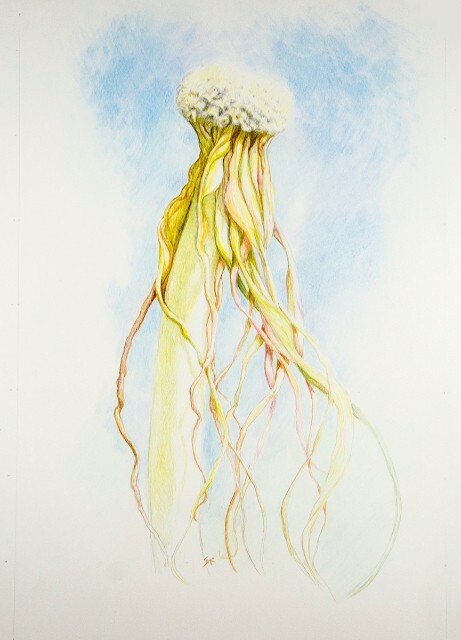 Goat's Beard (20 X 12 inches) Pencil crayon on cold pressed water colour paper. I continue my love affair with Goat's Beard seed stems after the seeds have flown. This takes on the female form with flowing tresses that complement the forward momentum suggested by the bowed stem. Ta-Dah! 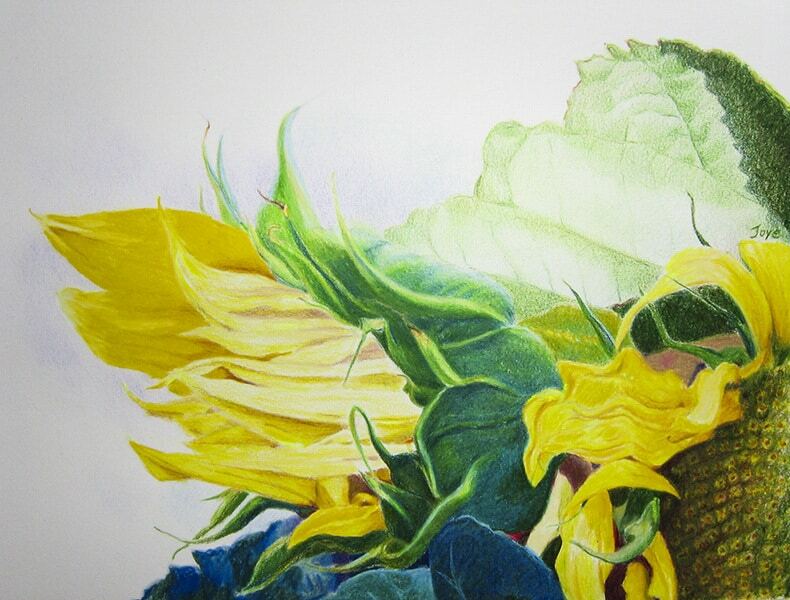 Sunflower (27 X 20 inches) Pencil crayon on rag paper. 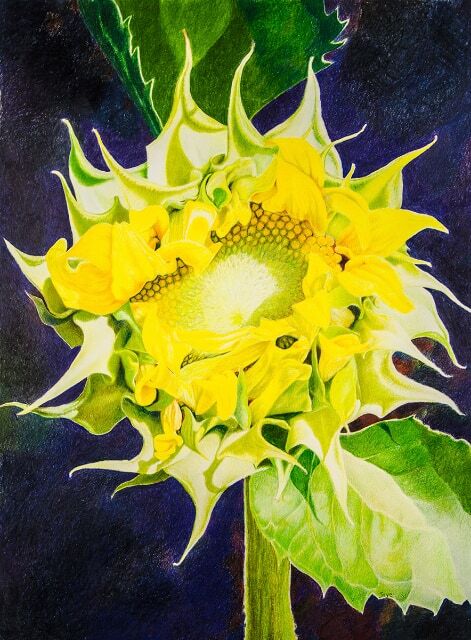 This partially open sunflower is a study in the spiral geometry of the central florets and the spiky sepals that are so pale green as to glow in the sunlight. 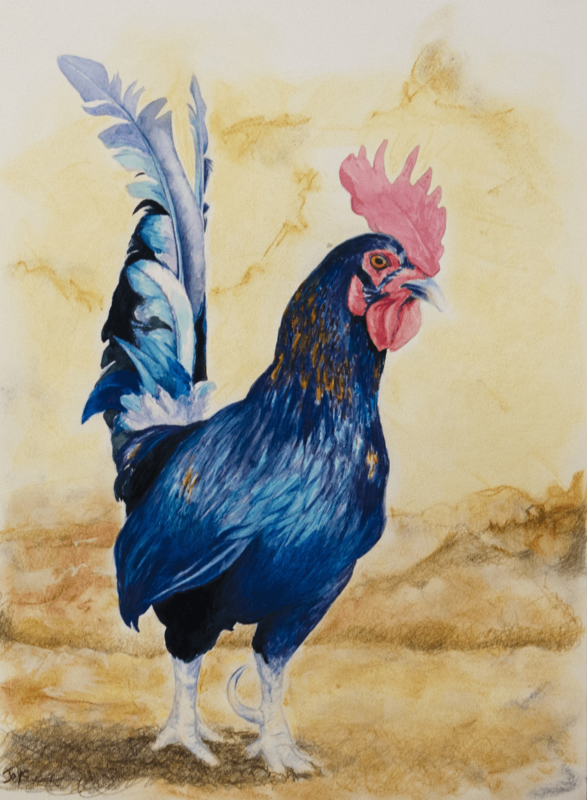 The dark background carries deep complementary violets, indigo and red browns that enliven the yellow and greens. The picture is vibrant and dynamic with the forces of growth bursting from the centre of the picture. 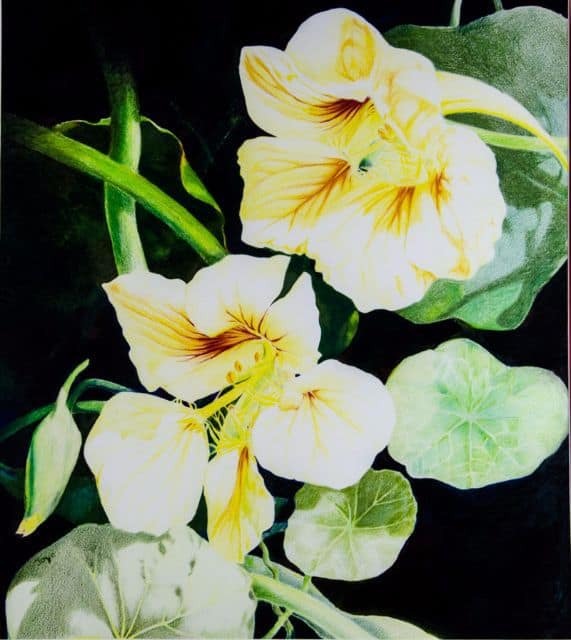 (22 X 16 inches) Pencil Crayon on Paper These nasturtiums are in their strident phase with open throats and leggy petals. The bee lines are distinct and provide contour to the petals. I called this work burning light because it is a hot, hot picture. The light is of a dry scorching July day with the bright flowers emerging from the dark foliage as if floating into spotlights. 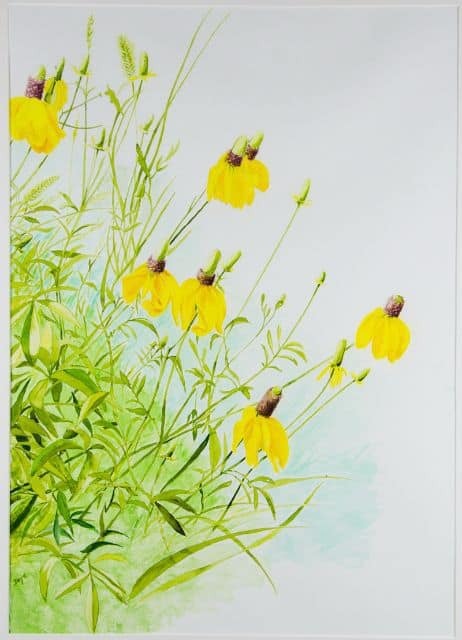 (24 X 17 inches) Pencil Crayon and watercolour on Paper The prairie coneflower is lovely subject for both pencil crayon and watercolour. 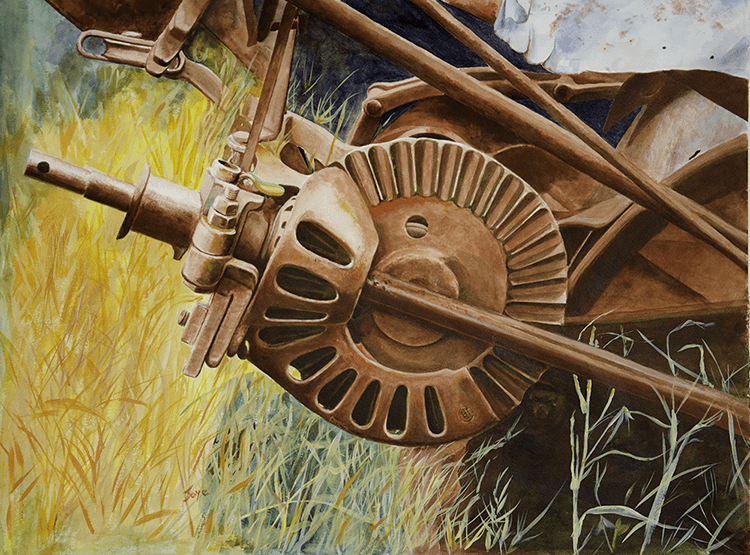 The grasses, leaves and some of the florettes were completed in watercolour. 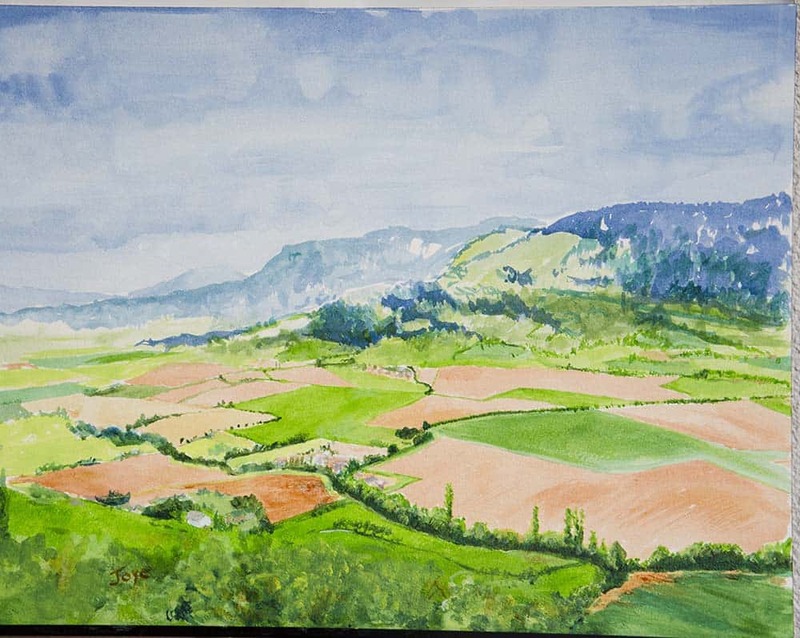 Watercolour allowed for a crisper edge and fine, graceful lines in the grasses while the overall languor of the scene was maintained. The vegetation is both energetic and striving on the one hand and relaxed in the summer heat. 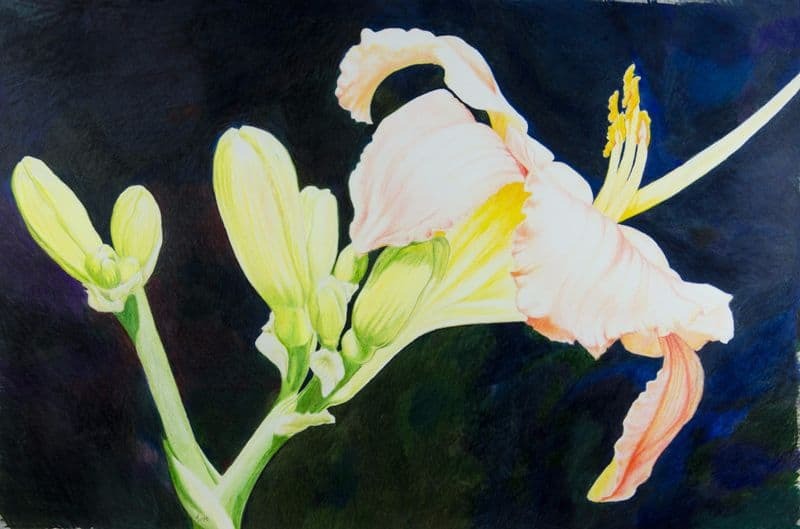 Daylily (28 X 16 inches) Pencil Crayon on Paper This pencil crayon work is particularly dramatic given the sweeping sabre of the pistol rising from the lily’s throat with the retinue of admiring stamens. The flower is delicate pinks and corals with the new green of the buds providing complementary counterpoints and enhancing the vibrancy of the soft palette of petals. 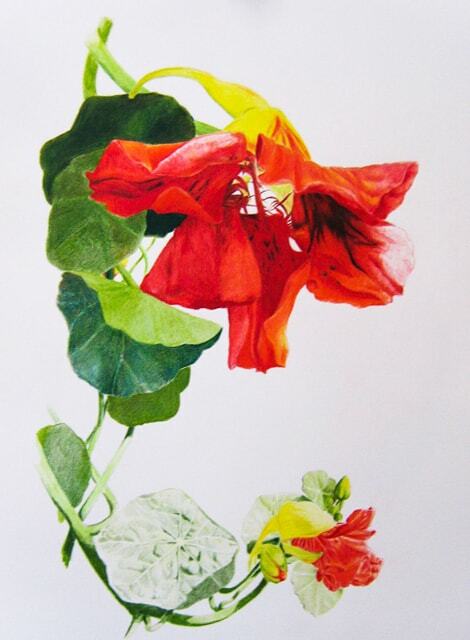 The Gossips (23 X 16 inches)	Pencil Crayon of Paper The gossips is a pencil crayon rendering of nasturtiums, one of my favourite edible flowers. 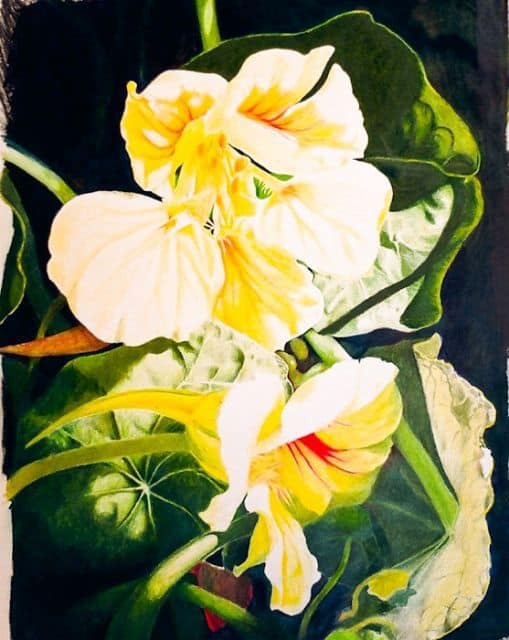 This work has benefited from the complementary underpainting technique that allows the shadows in the yellow petals to be vibrant and lifelike. 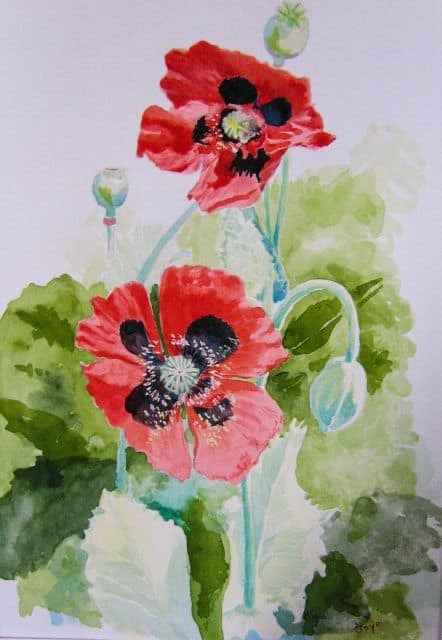 Flowers are interesting objects as they are translucent and the shadowing difficult if a lifelike look is sought. Also, yellow is an odd colour to get variation in palette. 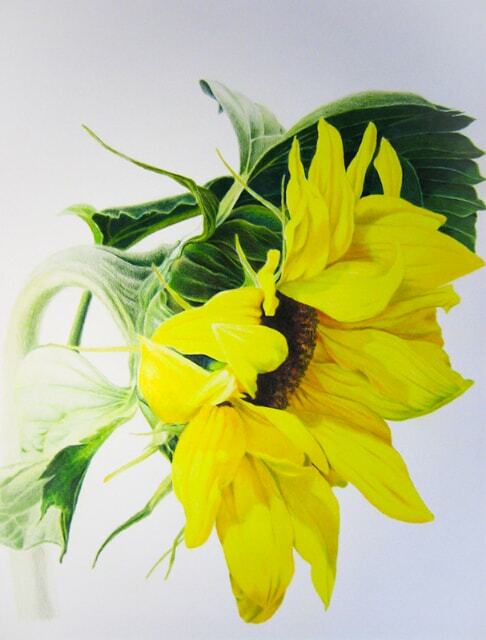 Underpainting with complementary colours works extremely well with yellow florals. I had tried this technique before, but it was never so successful as in this work. 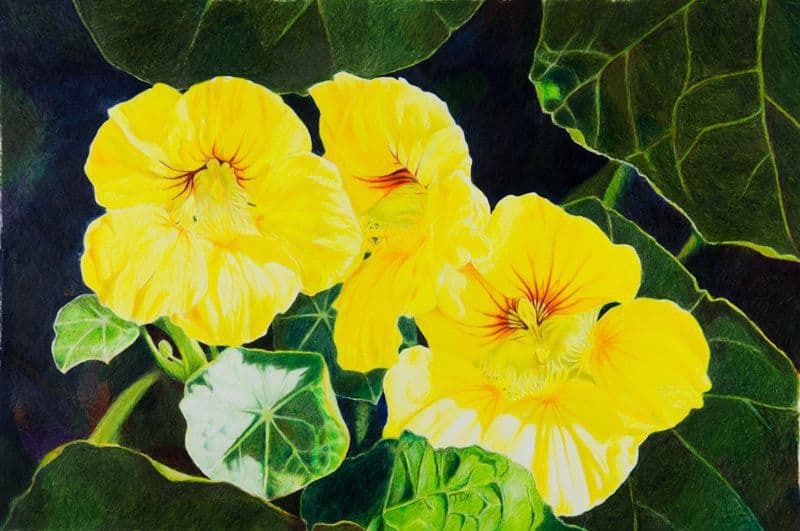 Hollyhock	(23 X 18 inches)	Pencil Crayon on Paper This complex floral is mix of abstract shapes and budding forms that are nosing outward to obtain space to blossom. 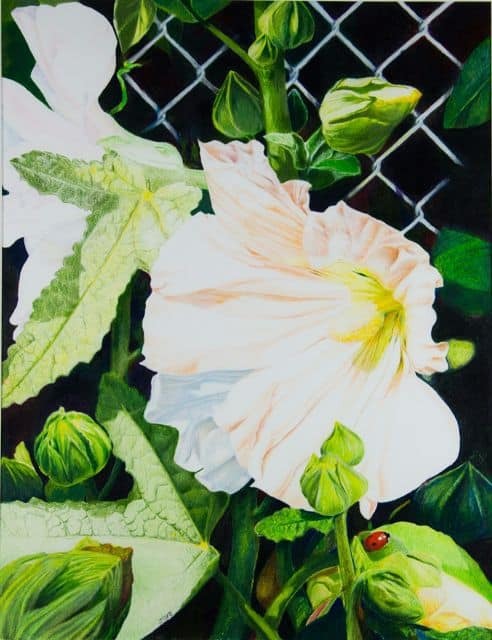 Hollyhocks are an old flower, associated with cottages. I first noticed them in just that setting. More recently, I was pleasantly surprised to see them flourishing against a wall in an abandoned city lot. They were untended and self-seeded. They asserted their place at the edge of a run down building. I like their independence. 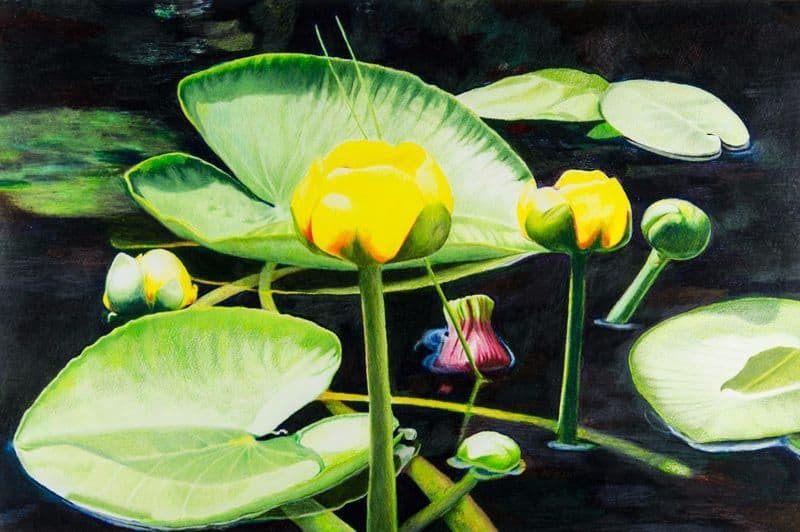 Pond (18 X 24 inches)	SOLD Pastel on tinted pastel paper This pastel is subtle and unfocussed and a marked departure from my usual interest in obsessive detail. 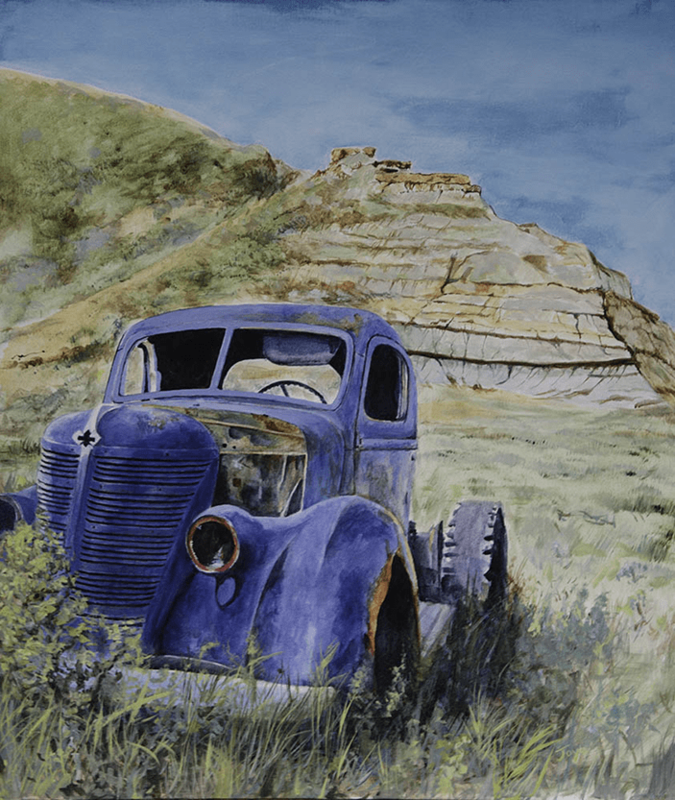 This work benefited from accidental effects that pastel can have. 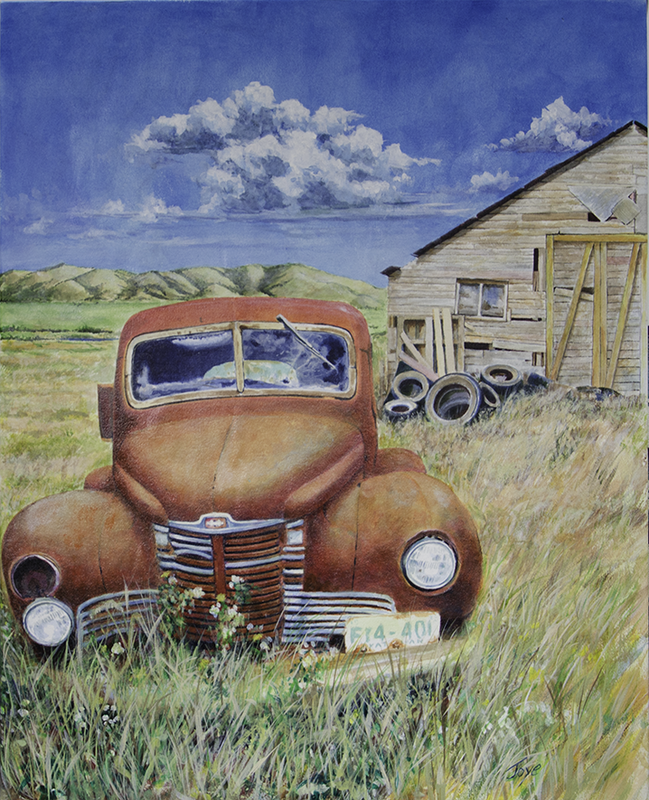 Working with the intense control of pencil crayon and then switching to pastel is freeing. 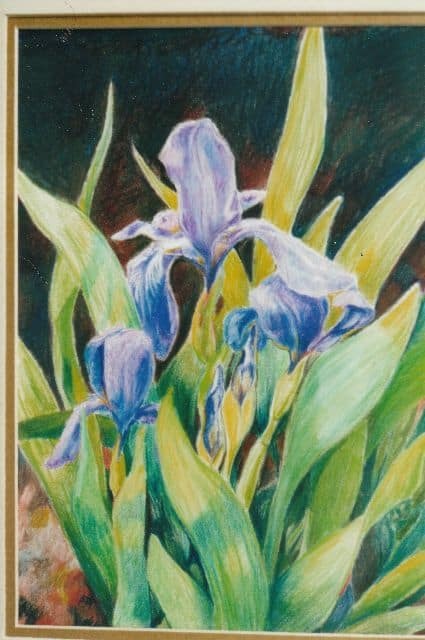 I have used both pastel and pencil crayon in some pictures when the right effect was only possible in one medium or the other. 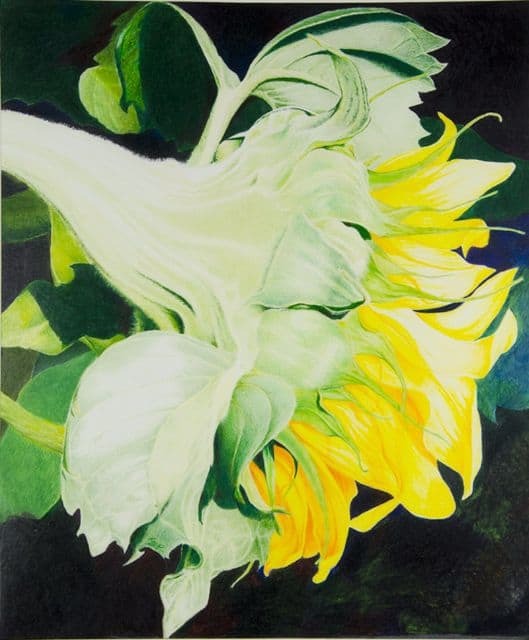 Sunflower 5	(24 X 20 inches)	Price: $850.00 Pencil Crayon on Paper This sunflower is a study in the muscular stem, foliage and overlapping calyx that surrounds the petals. 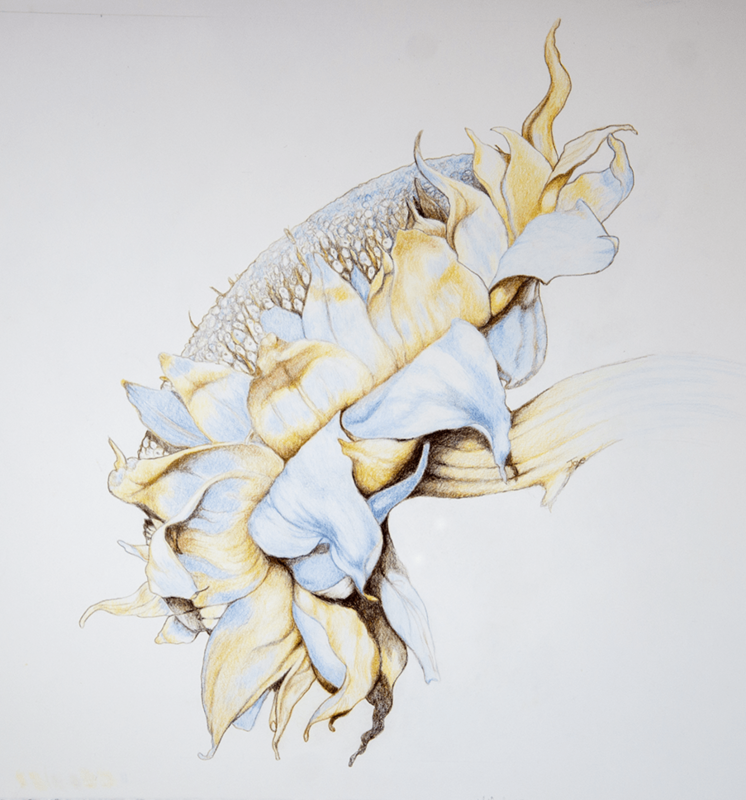 Rich indigo blues are worked into the background to enliven the yellow of the petals. 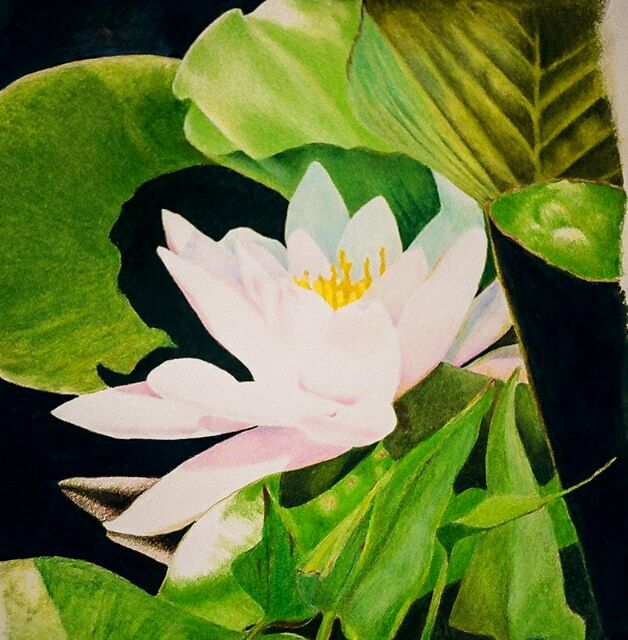 The flower emerges into the light chiaroscuro style. 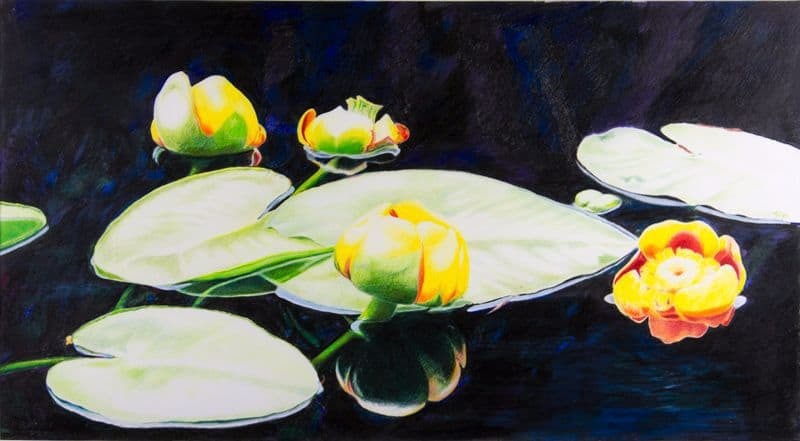 Pond Lily 4	(28 X 18 inches)	Pencil Crayon on Paper This pencil crayon work was a challenge. It was interesting to find out how to make the water sitting on the leaves as realistic as possible and to create the partially submerged subjects. 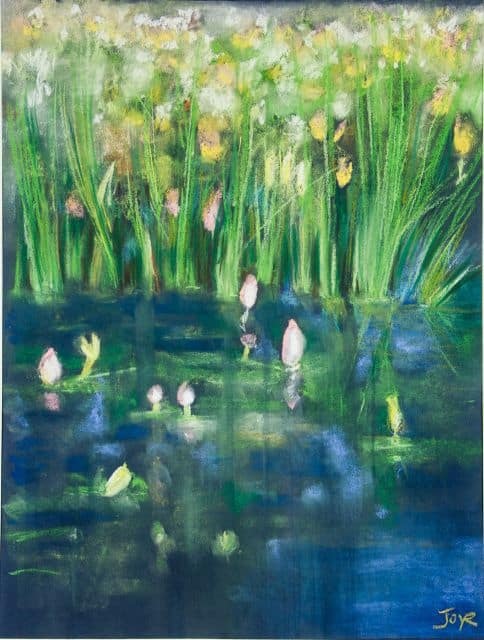 The composition of lush and voluptuous pond vegetation with the bolting florals has an energy highlighting life hidden under the surface. 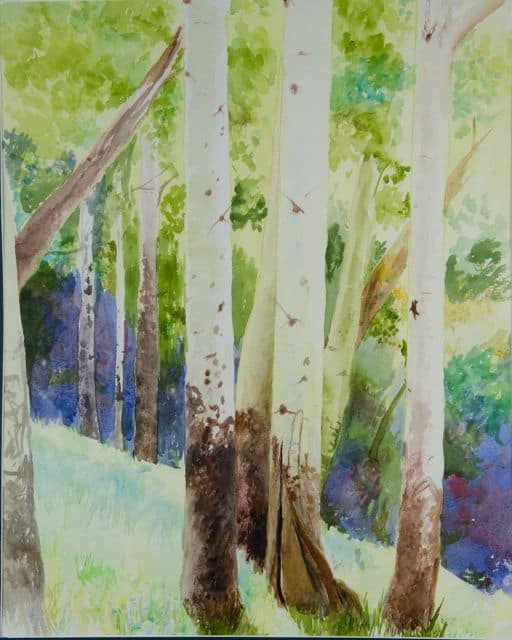 Poplars (17 X 21 inches)	Watercolour on paper This watercolour is a study of the poplar trunks with their pale greens and powdery smooth bark that features eyes where branches once grew. 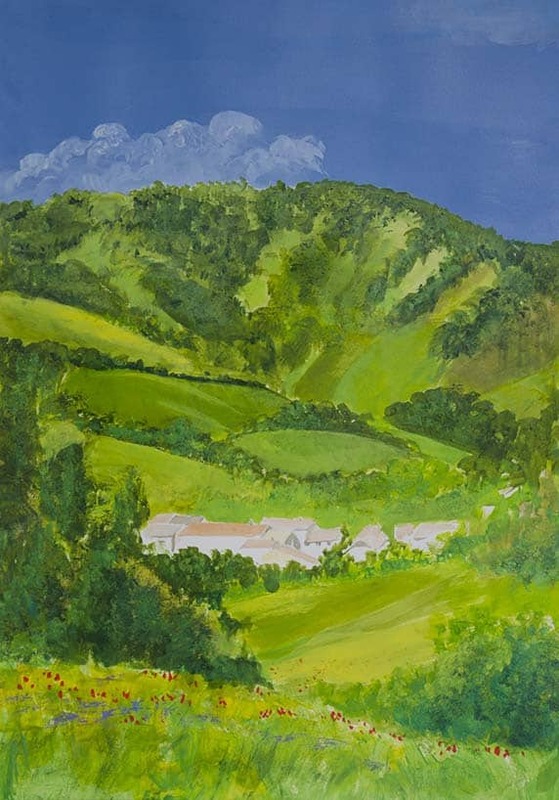 The scene offers the warmth of the grassy meadow and the cool promise in the grove of trees. 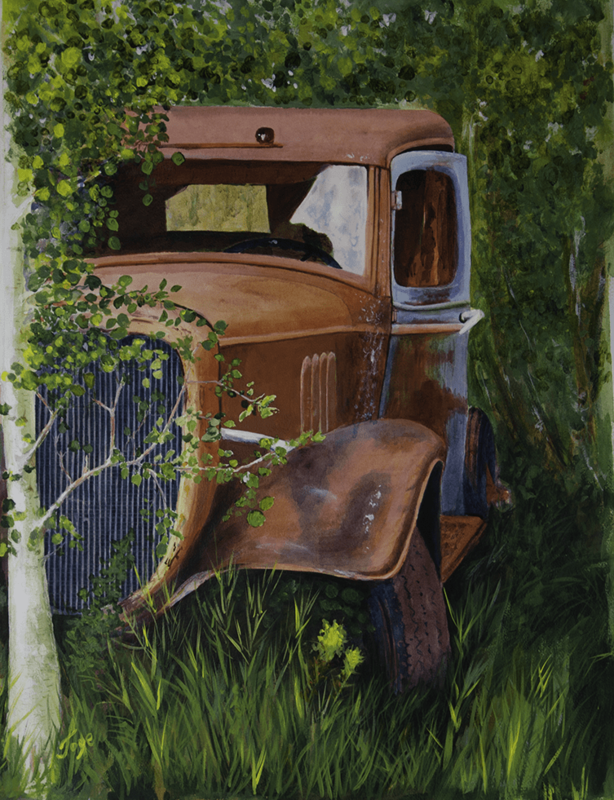 Years ago on a bicycle journey from Jasper to Banff, we stopped to rest in this popular grove. After the relentlessly majestic mountain vistas, this small contained meadow was inviting and grounding. 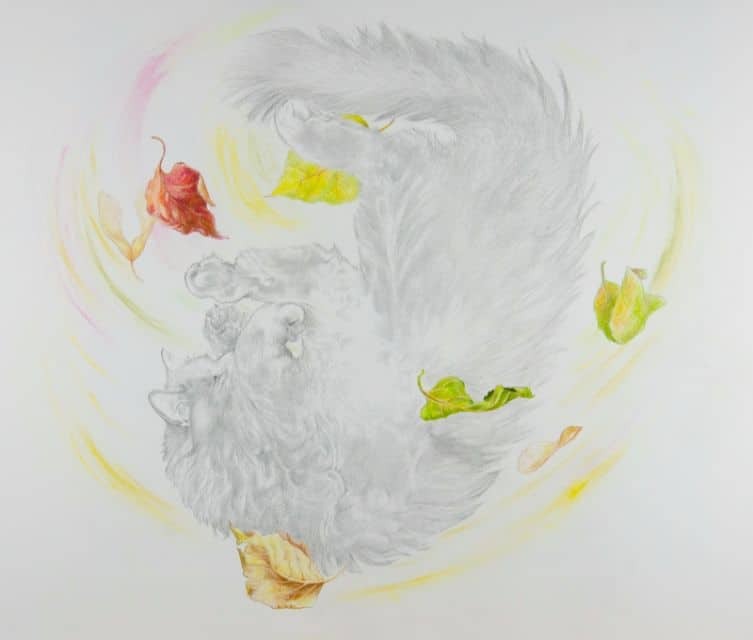 Autumn Follies	(22 X 30 inches) Graphite and Pencil Crayon on paper Autumn Follies is a tribute to an old cat who never lost his sense of play. He was a walking graphite drawing. 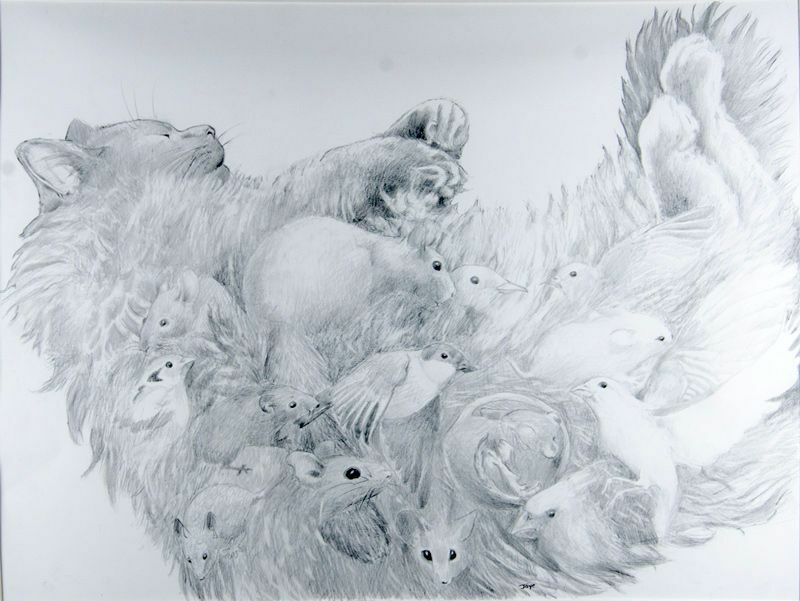 (21 X 28 inches) Price: $300.00 Graphite on Paper The graphite cat just wants to be drawn. 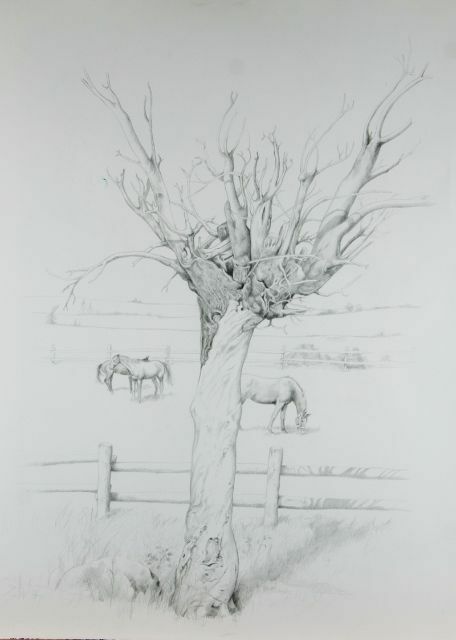 Pruned (22 X 30 inches)	Graphite on paper I drove by this tortured tree for years and wanted to draw it. I took it on as a drawing challenge given the complexity of the snarl of branches at its top. 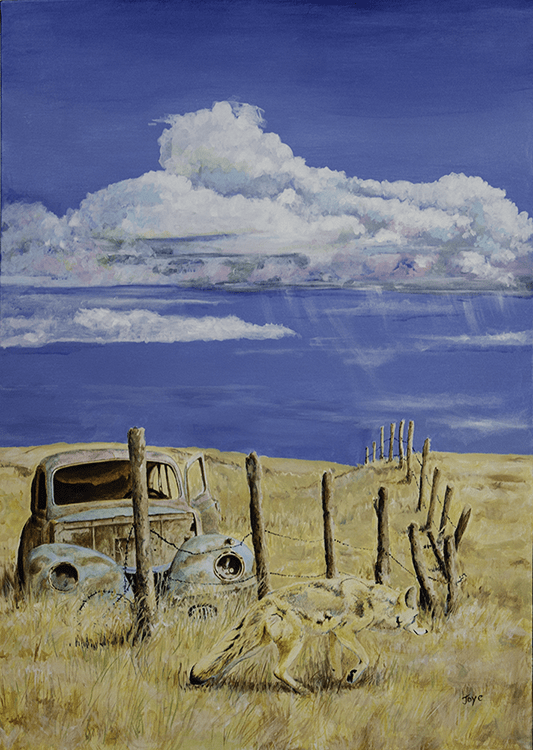 I decided to move it to a more tranquil setting in the picture to live out its old age in pastoral peace. 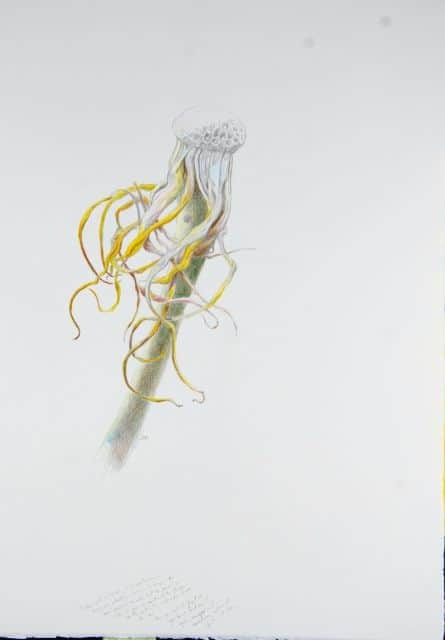 War of the Worlds Goat’s Beard 1	(12 X 16 inches) Graphite and Pencil Crayon on paper I love goat’s beard and let them grow even if they are a weed to many. The flowers are not showy but when they go to seed, their huge puffy seed heads are visible for a long way. When the seed are gone, there is left a beautiful faceted bulb with trailing tresses. The image is one of jelly fish floating in the ocean or of the Martian war machines striding along the landscape in War of the Worlds.